Despite the significant differences between Scorpio and Virgo, the stars promise them a favorable relationship, the basis of which will be the complementarity of their characters. This is also evidenced by their successful location on the zodiacal circle. Their elements are also considered friendly. 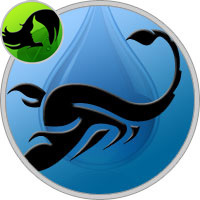 Scorpio belongs to the water, Virgo refers to the element of the earth. In natural conditions, these natural forces have a positive effect on each other: water irrigates the soil, making it softer and more fertile. The earth, in its turn, serves as a reliable support for the water and provides it with shelter. This metaphor fully reflects the essence of the relationship of these signs of the zodiac. In their pair, Scorpio is responsible for the intensity of the relationship. Aggressive Mars and imperious Pluto, guiding them, endow a sign of water with purposefulness, leadership qualities and strategic thinking. The Virgo is led by Mercury — the god of communication. It strives for stability and order in everything and therefore, in interaction with Scorpio, is a much-needed balancing element. The element of water is notable for its emotionality, it is often disturbed by the winds of life, sometimes leading to a stormy state. And only a reliable earth can keep it from getting out of the coast. It is the calm, prudence and logic of the Virgo that attracts the passionate and temperamental Scorpio. And in it the earthly element attracts inner strength, vitality and ambition. The ward of Mars and Pluto is a sign with a very complex character, which not everyone can withstand. He belongs to a fixed representative of the horoscope, which means that in his aspirations, Scorpio is extremely demanding and persistent. The compatibility of Scorpio and Virgo would not be so high and beneficial if the second in this pair was not a changeable sign: it perfectly adapts to any conditions and partners if it sees personal gain in it. Her calculability is seen literally in everything and it helps her to be successful in life. In Scorpio, she sees exactly the partner with whom you can achieve much more than alone. Compatibility horoscope of Scorpio with Virgo is also successful for the reason that both seek security and peace of mind. The first carries a strong chitin, hiding beneath it his spiritual vulnerability: outwardly he looks confident and firm, but inside he often experiences anxiety and excitement. The second also has hidden sensuality, but hides it, suppressing the emotional sphere and preferring to rely on logic and rationality. Meeting and successfully interacting, the signs reveal many new qualities: together with mutual trust, they reveal their nature. Both differ in devotion and fidelity to relationships — this is another point in the list of reasons for which they expect a successful partnership. Excellent compatibility of Scorpio and Virgo in work allows them to achieve unprecedented heights in business. Both signs are endowed with discretion and foresight. Mercury’s wards have the precision, ability to plan work efficiently, without losing a single minute detail, which, in fact, have a significant impact on the whole business. Scorpio thinks creatively and strategically, he also knows how to see the pitfalls, and therefore avoids possible mistakes. The most successful is the interaction in the pair, where the chief is the representative of the elements of water, and the sign of Virgo — a responsible and hardworking subordinate. The compatibility of Scorpio with Virgo in friendship is quite twofold. The habit of gossiping and criticizing, inherent in both, can both bring them closer and spread them around the barricades. If someone is the object of conversations, the signs will be satisfied with an interesting conversation. But if any of them tries to make a similar attack towards a friend, their good relationship will quickly come to an end. They like to discuss others, but do not tolerate this in the direction of their person. "Against whom we will be friends?" — a suitable name for the friendly relations between Scorpio and Virgo. The compatibility of the Scorpio and Virgo in love is almost perfect, and all thanks to the fact that both value fidelity to others and are faithful themselves. This is the basis for building their successful relationship. Scorpio, who is very jealous in nature, appreciates his permanence in his beloved, and therefore shows his sense of ownership not so zealously. His inner world is so deep that Virgo can never know him in his whole life. It is this mystery that, like a magnet, attracts to it the earthly sign of the zodiac. The reliability and seriousness of both give rise to mutual trust, so they share with each other the most intimate mysteries and secrets. The characteristic restraint for them does not allow relations to develop too quickly or chaotically. But this is good: lovers recognize each other slowly, but do not rush into the pool with their heads. It is important for them to look at their partner well, so that later they do not regret the choice made. They carefully select their environment, and the bar for the heartfelt man is very high. Due to this compatibility of Scorpio with Virgo in the relationship is very stable. Their romantic relationship often turns into a strong and long-term alliance called the family. Scorpio and Virgo strive for spirituality and inner affinity, their interconnection gives them an excellent opportunity for personal growth. The sexual sphere is the only area in which signs can have problems. The compatibility of Scorpio and Virgo in bed is considered quite low due to their different temperaments. The sign of water possesses the aggressive energy of Mars, which requires a periodic ejection. The bed is the place where Scorpio successfully does this, being a passionate and ardent lover. He adores experiments in which he can violate generally accepted norms and reach the point of perversion. Virgo, on the contrary, appreciates the traditional approach: behind the bedroom door becomes clamped and uncertain. The suppressed emotional sphere does not allow her to experience high feelings and pleasure from sexual pleasures. Making love more, she perceives as some kind of mechanical action, leading to pleasant physical sensations. To achieve harmony, partners will have to agree on the rules of behavior in bed. It is also possible that a representative of Mercury will be able to become more emancipated along with the growth of trust that is formed between them over time. Both perceive the family as a valuable phenomenon of life, so the compatibility of Scorpio with Virgo in marriage has a high, steady level. If they decided to legitimize their relationship, it means that the lovers were convinced of the mutual sincerity of the feelings and the reliability of the partner. Regardless of gender, leading in their pair will be Scorpio, and his second half is not at all against such a situation. Virgo fully trusts her husband, because she can relax and quietly give the reins. Both are hardworking, know how to earn and save, in connection with which their house is always a full cup. Often the sign of water can be irritated due to the excessive pedantry of the partner. But the quiet Virgo will quickly learn to ground the fury of the emotional spouse. Her preference for living on an exact schedule, on the one hand, likes the hot-tempered representative of Mars, on the other, is perceived by him as a bore. Over time, the elements of water will teach the conservative elect at least occasionally to give up boring rules and receive new emotions and impressions. Thus, the compatibility of Scorpio and Virgo in family life beneficially affects both, allowing them to learn their unknown sides and gain valuable experience.